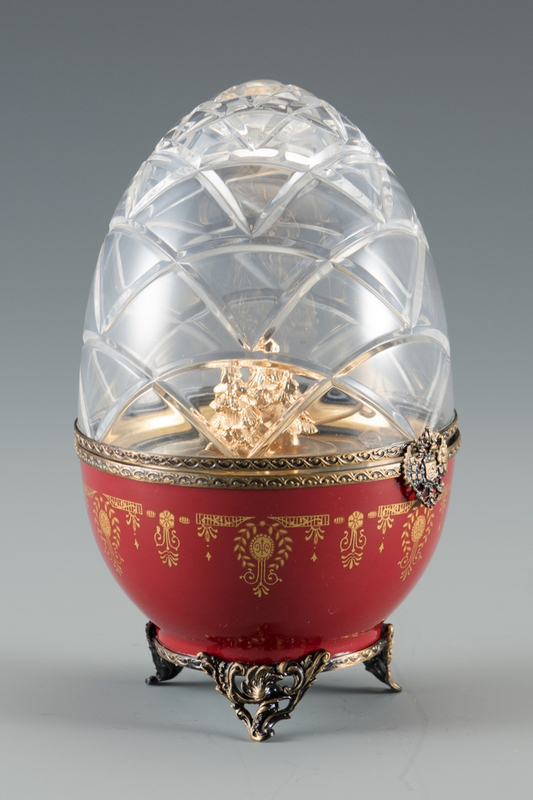 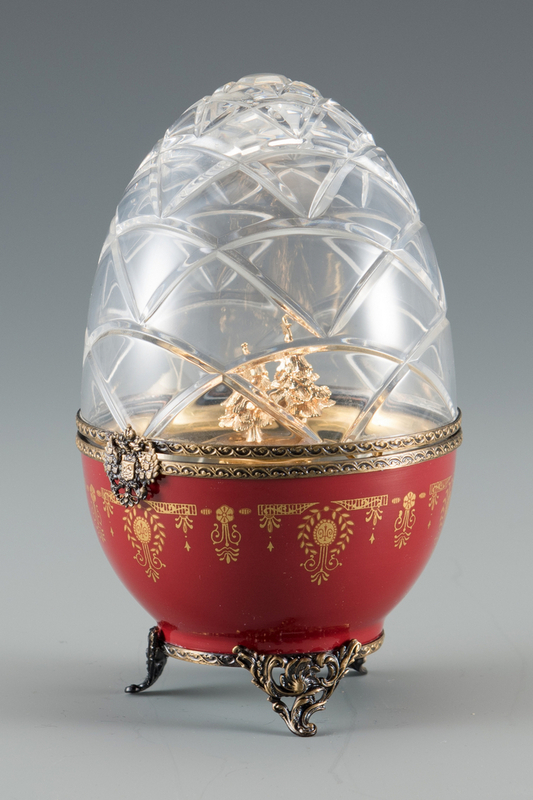 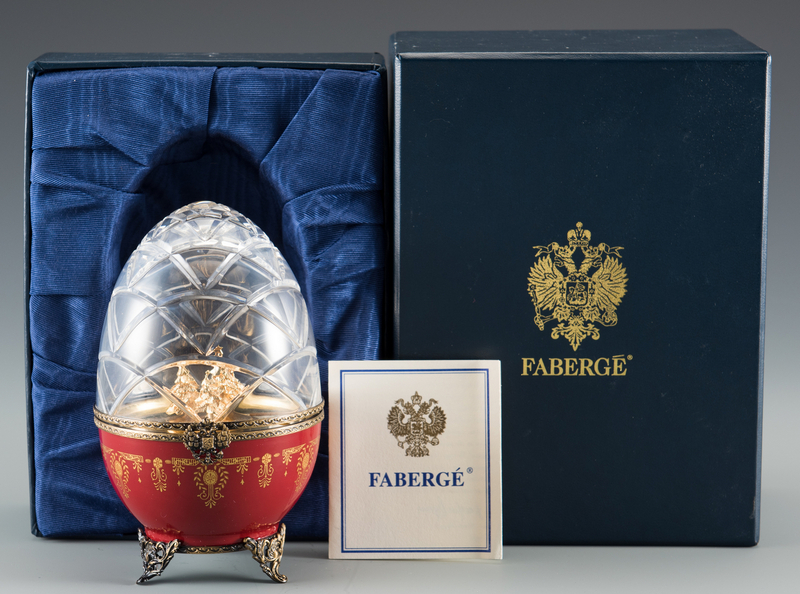 House of Faberge Limoges limited edition red porcelain and crystal egg with original blue Faberge box and signed and numbered certificate. 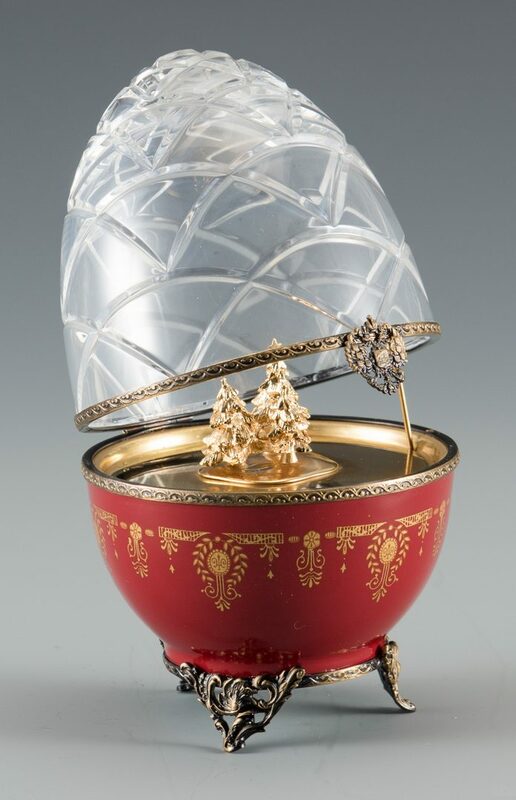 Cut crystal hinged dome top opening to reveal a gilded interior with 3 Christmas trees; red porcelain vase with gilt swag hand painted decoration, gilt bronze mountings and scrolled feet. 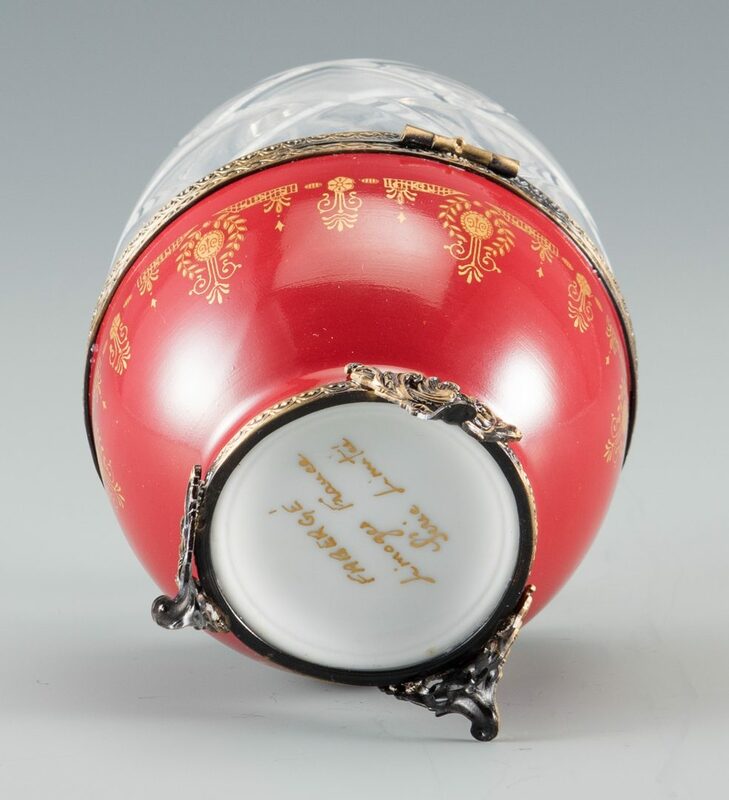 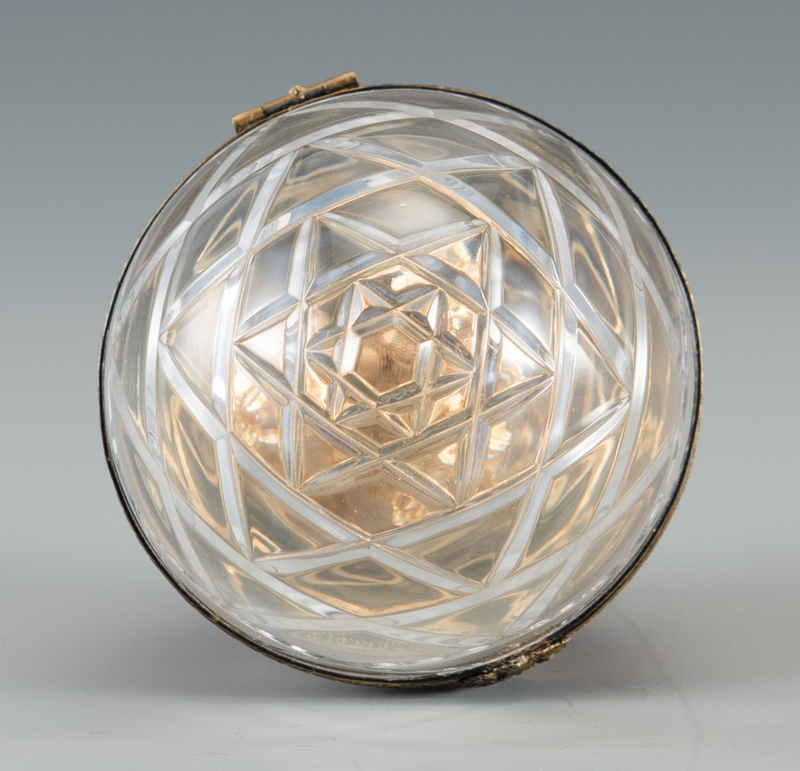 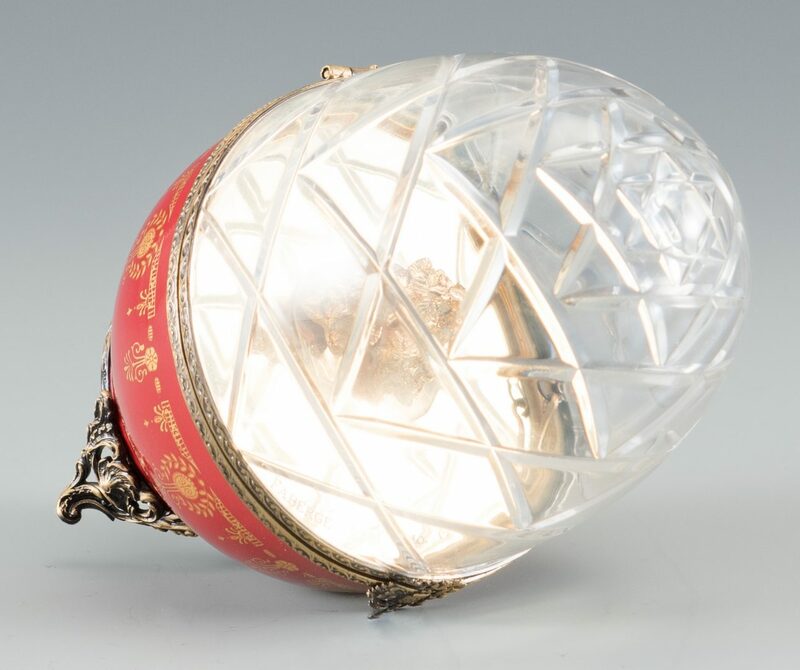 Interior marked Faberge with 3 illegible hallmarks and "No. 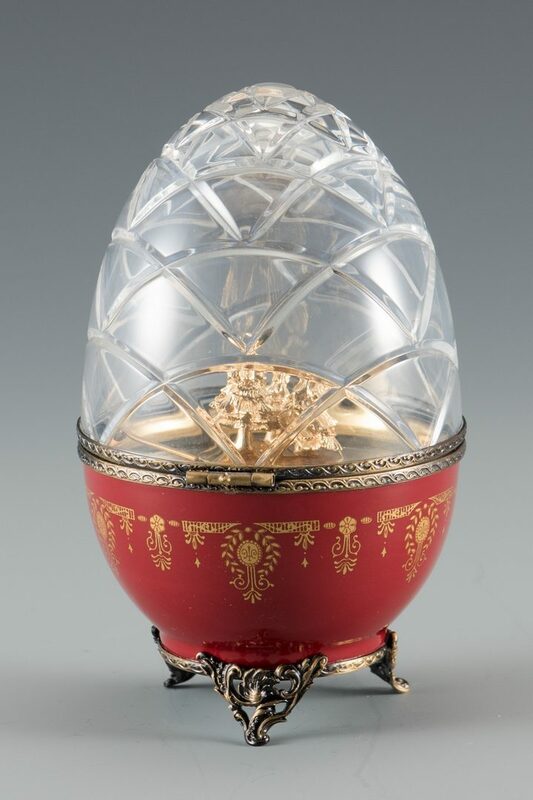 14", signed Faberge Limoges on underside of porcelain. 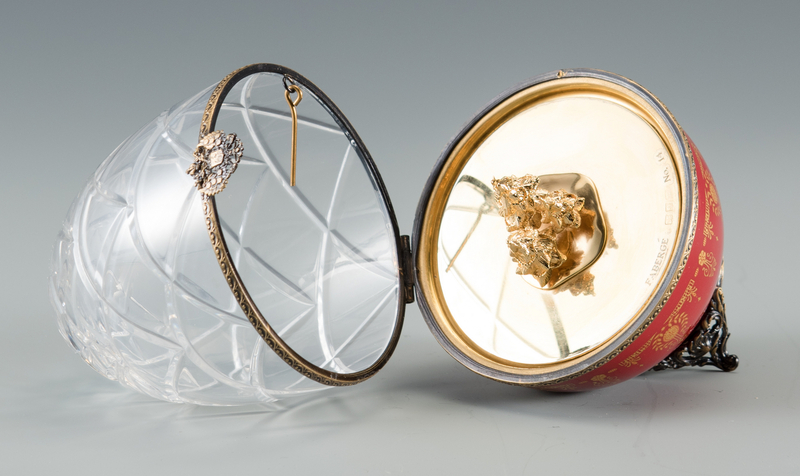 Certificate names it "Noel #14". 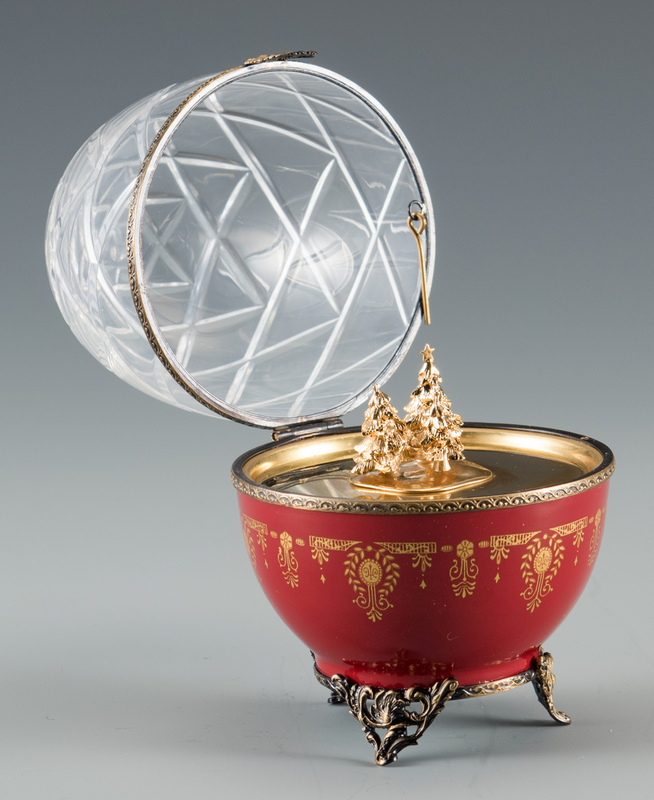 6 1/2" H. CONDITION: Some oxidation to the gilding which we have not attempted to clean, otherwise very good condition.